The Office of Student Affairs had a very productive month with many events. The “Let’s Celebrate Spring” picnic was a great success. On April 17, 2014, 150 VIU students participated in our BBQ event and enjoyed great food and drinks. (Those kebabs were amazing! A heartfelt thank you to Dr. Sarac, Mr. Yannal Rawashde, and Mr. Huan Vo for grilling!) VIU students had the opportunity to chat, play basketball and badminton, and enjoy VIU’s new building. We also had the honor to have Delegate Mark Keam as a guest. Mr. Keam is a member of the Virginia House of Delegates. A Democrat, he has represented the 35th district since 2009. His district encompasses a portion of Fairfax County that includes VIU. 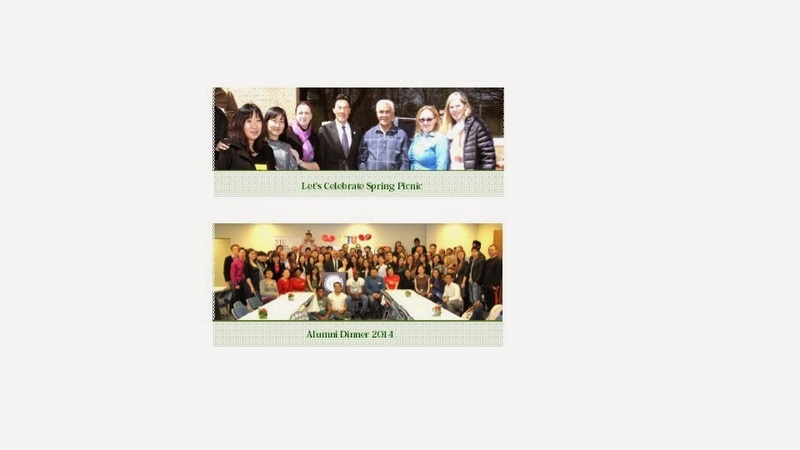 On April 18, 2014, the Office of Student Affairs invited VIU alumni for a delicious dinner. It was wonderful to see around 120 VIU alumni! They had a great time reuniting with their former colleagues, instructors, and staff. We enjoyed Italian cuisine, raffles, networking, and most of all, sharing memories. VIU issued their alumni ID cards, as members of VIU Alumni Association. We hope to see them again soon! Do you need a quiet place to study? The new building (located at 4401 Village Dr., Fairfax, VA) offers a superb study environment. Student Affairs staff provided counseling and snacks for students who studied during exams in the new campus at our “Stress Relief Exam Snack” event. We encourage all students to go to the new building when looking for a good study place. At the end of this month, we are welcoming new students and reconnecting with current students. The Summer 1 New Student Orientation will be held on April 30. Orientation is a chance for incoming students to meet new people, get important information about programs and VIU services, learn how to get involved on campus, make friends, and get a cool VIU backpack and T-shirt. We are looking for current students to serve as Student Ambassadors to connect with the new students and guide them through a period of cultural adjustment. Student Union is actively helping incoming students get housing resources and answer the questions they may have. VIU is also getting ready for the 2014 Commencement Ceremony, a major event that celebrates the success of our graduating students. Student Affairs organized a rehearsal and practiced the processional and received last minute instructions at an event held on April 18, 2014. Special thanks to our volunteers and our VIU colleagues who are supporting our efforts and contribute to our success! At VIU we prepare students to create the future and make their success a higher priority. We are so excited to celebrate their accomplishments and recognize their hard work and success.